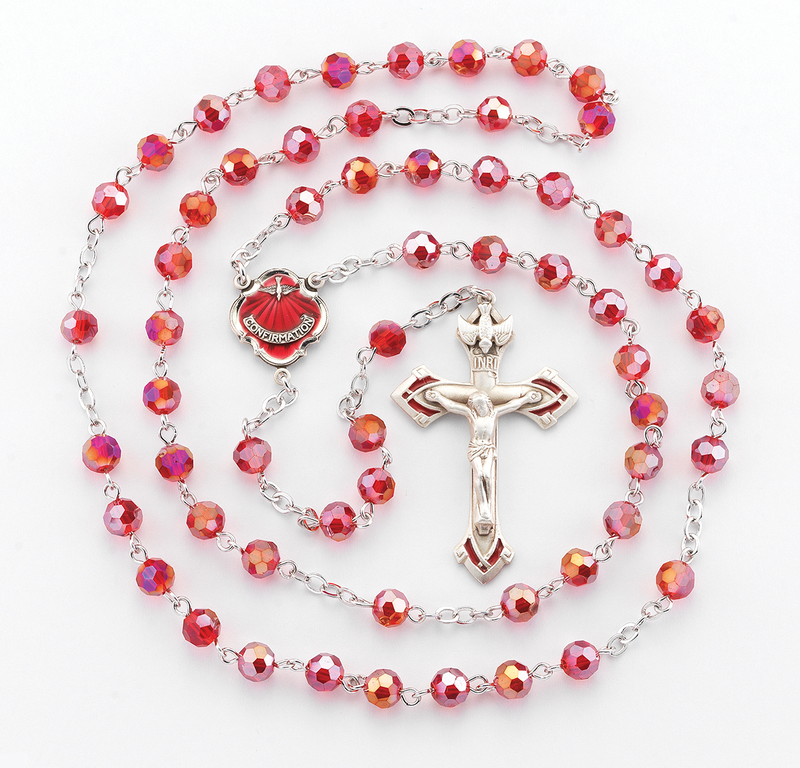 This beautiful Pewter holy confirmation rosary is made with 6mm round ruby red faceted beads. It comes with solid brass findings, pins and chain with genuine rhodium plating to prevent tarnishing. 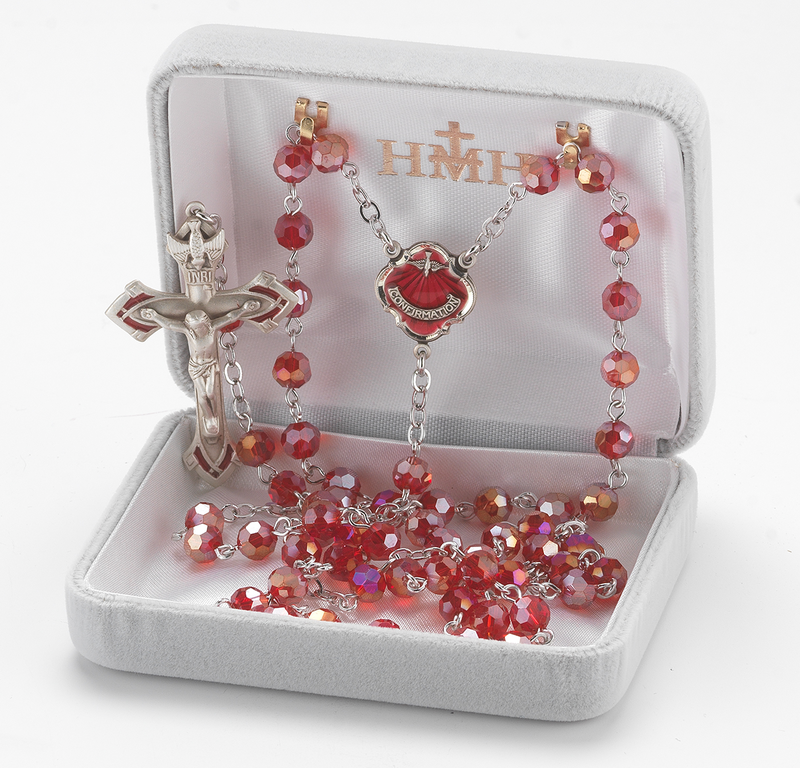 Exclusive designed genuine pewter red enameled crucifix and center. It is handmade in the USA by HMH Religious expert New England Silversmiths. 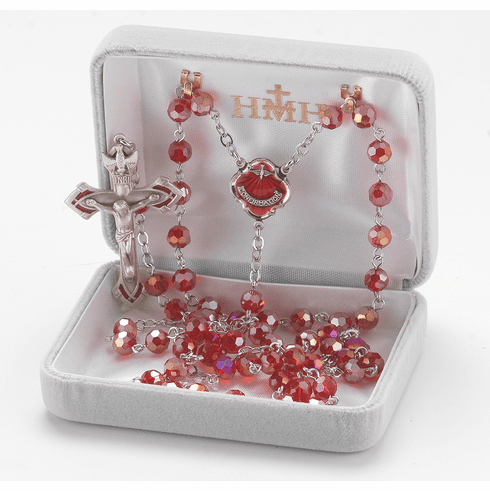 All rosaries come in a deluxe velour metal gift box.